A interesting Xamarin Forms feature well hidden inside documentation is that Page class exposes a collection of ToolbarItems. 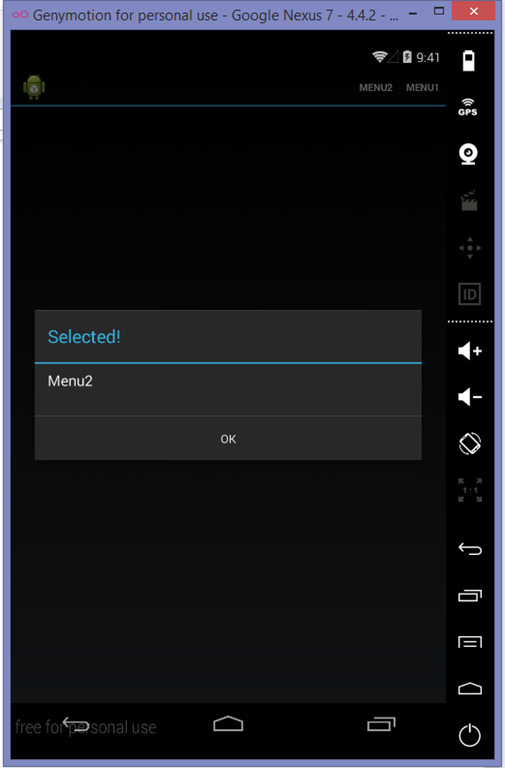 a ToolbarItem is an element that renders a “menu” on each platform letting you add elements like Menu on Android/iOS or ApplicationBar/MenuItems in Windows Phone. 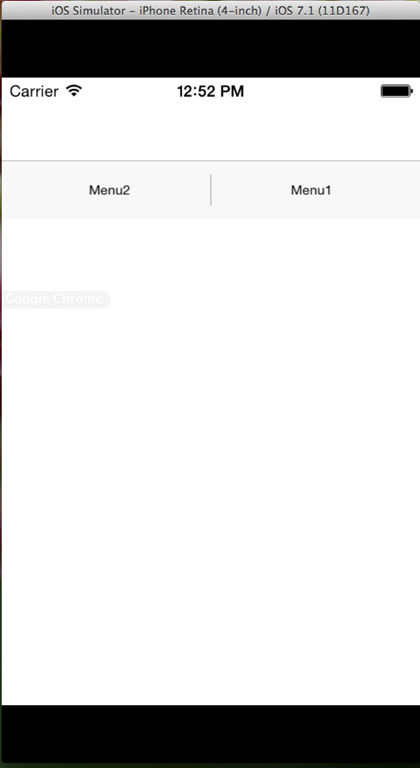 please note how menus in iOS are in opposite direction compared to Android and Windows Phone, and how Windows Phone obviously miss the appropriate icons. 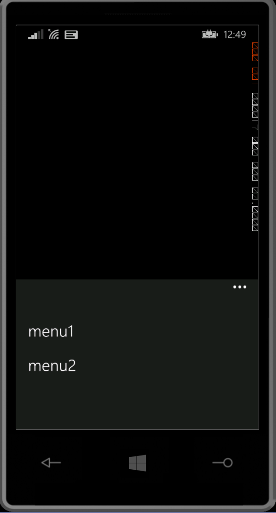 The role of Order property depends on platform, on Windows Phone using Secondary creates MenuItems, on Android it adds entries to Page menu and on iOS render menu as horizontally aligned buttons. I took a while for me to know about this feature, glad I’ve found it. in order to get the items to show up under the : item container. Otherwise they show up across the top of the bar. I would like to know what if I want to place toolbarITems at bottom of the page. As with order=”Secondary” It places toolbarItems at top of contentpage. 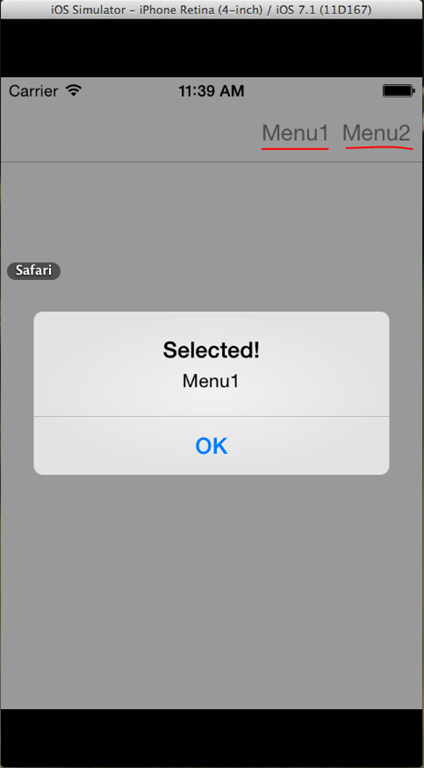 I am talking about default behavior of ToolBarITems in iOS. 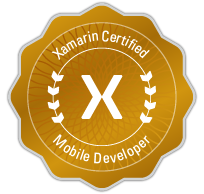 How this could be done in Xamarin forms. E’ possibile che se uso icone nella toolbaritems “colorate”, le vedo correttamente colorate in Android ma in iOS le vedo bianche? E’ un comportamento proprio di iOS? How do i change the default display icon / text of the overflow menu? EG instead of displaying ellipsis or the text ‘more’ can i display something else? 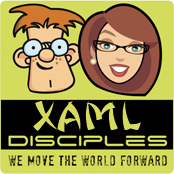 how to handle this in case where startup page is “app.xaml” and not “app.cs” ? I have strange bug. 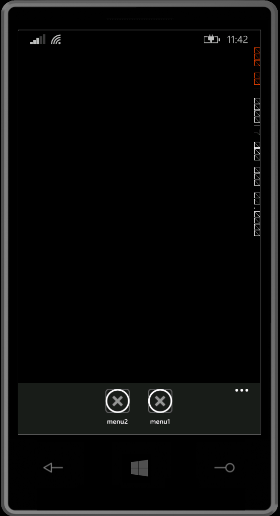 when I am running app on android emulator, I can see tootlbaritems (set to secondary).but can not see on phone. but working fine o ios phone. Any idea, what’s going wrong? Hi! Thanks for publishing this. It really helped me a lot.